Hanoi (VNA) - The daily reference exchange rate was set at 22,990 VND/USD on April 16, down 6 VND from the end of last week (April 12). With the current trading band of +/- 3 percent, the ceiling rate applied to commercial banks during the day is 23,680 VND/USD and the floor rate 22,300 VND/USD. 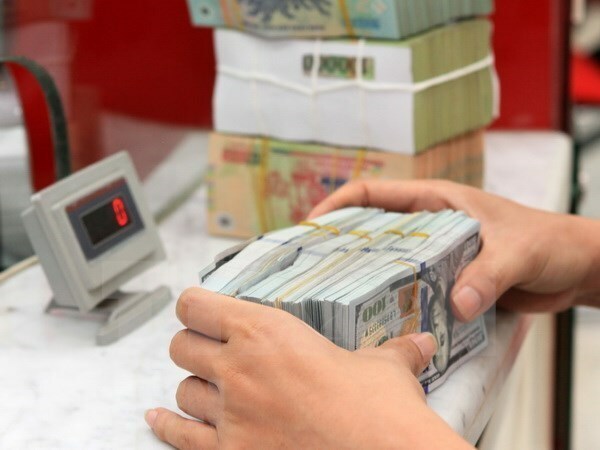 Both Vietcombank and BIDV maintained their both rates unchanged from several past days, listing the buying rate at 23,150 VND/USD and the selling rate at 23,250 VND/USD. Techcombank also maintained the same rates as on several past days, at 23,130 VND per USD (buying) and 23,250 VND/USD (selling). During the week from April 8 to 12, the daily reference exchange rate opened the week unchanged, but it was adjusted down on the next two days before turning around to go up on the last two days. At the end of the week, the rate was up 8 VND compared to Monday.